Remember the days of bringing your boom box out by the pool so you could crank up some tunes while working on your tan? Thanks to the latest smart home technology, you no longer have to keep a crate of D batteries on hand––or reel out yards of extension cord––to enjoy your play list. Today, you can enjoy every aspect of your home entertainment system even when you’re outside. 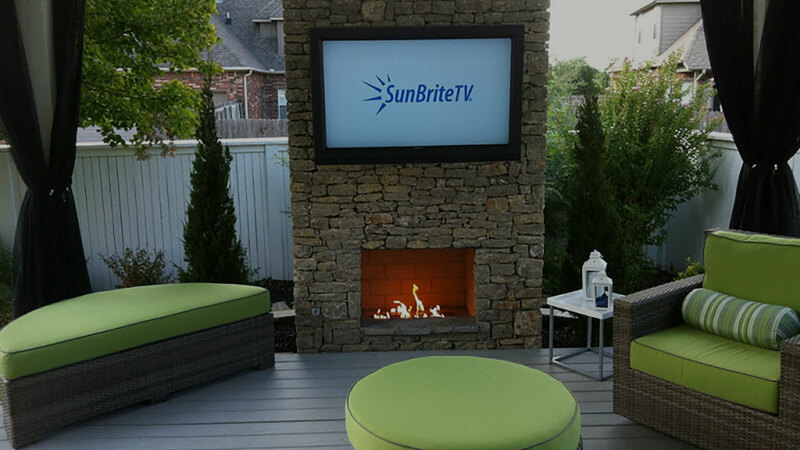 With weather-proofed speakers, outdoor-rated televisions, lighting and more, you can truly turn your backyard into another “room” of your home. Whether you just want a couple speakers poolside or a series of them throughout your entire property, we can work with you to design the custom outdoor sound system that works for you. Modern landscape speakers make installation simple and relatively inexpensive. Plus, they are easy to hide within your landscaping, so they don’t take away from your yard’s natural beauty. There are even speaker options that look like rocks, are built into planters, or that mount under eaves, helping them to disappear into their surroundings. Adding video is also gaining in popularity, ranging from large projector screens for when you want to show a movie under the stars, to flat screen televisions that let you watch the game while you barbecue. If you’re not ready to pack up the fun when the sun goes down, you can choose from an incredible variety of lighting options for your backyard as well. From accent lighting in flower beds and path lights for evening strolls, to something with a bit more wattage over a game table, stylish, wireless lighting has come a long way. Take it a step further. Consider adding an outdoor ceiling fan to a covered patio or pergola for evenings when a gentle breeze is needed, or a gas fireplace you can light with the click of a switch if things get a little chilly––or you’re in the mood for s’mores! Even more impressive, all of these outdoor audio, video and lighting options can be combined with your existing smart home system and controlled from a single remote or through your smart phone or device. Enjoy convenience and control at the click of a button. Check in on cameras to see who’s ringing your doorbell while you are relaxing on the deck. Turn music up, change your playlist, repeat a song––all without leaving your deck chair. Relax. Our simple app can help you do it all. Contact us today to get started.